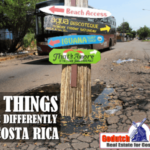 You plan to move to Costa Rica but you are looking either for beach living in Costa Rica, with their own trypical laid back lifestyle or some of the rural areas of Costa Rica, where life is a lot easier. 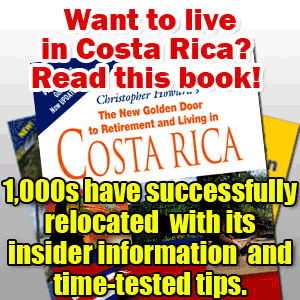 That is why you will not only be looking at Costa Rica real estate but also at Costa Rica beach properties for sale. You do have to understand that life at the beaches of Costa Rica is very different from beach life in Florida, California or other places in the US, as we do not have such large cities in the beaches of Costa Rica. Therefore, if you’d like to enjoy beach living in any of the beach areas of Costa Rica do will not be able to enjoy the same amenities as the Central Valley has to offer, like large shopping malls, quality hospitals, choice of schools for the children and some other things that are important to those who are looking for a certain lifestyle. Some beach areas do have a golf course, so if you are planning to retire in Costa Rica and play golf all day, make sure you read our description below. 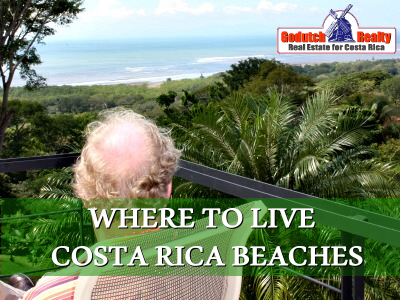 Also, beach living in Costa Rica meanthat in each of the different beach areas, just like the Central Valley, you will have a different micro climate in each area. There are quite a bit of differences in temperatures and mainly humidity. don’t have a clue where to. Now, that depends on many things, like weather, temperatures and more importantly, the amenities you will need. Those amenities, amongst others, could be churches, hospital, schools for the children, a golf course, restaurants, specialty stores, movie theaters and theater groups. 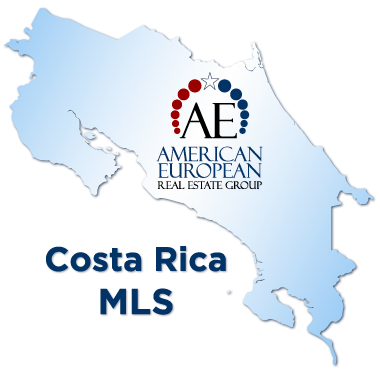 GoDutch Realty is an affiliate to the American European Real Estate Group with real estate agents throughout the country, so we can connect you easily with responsible and knowledgeable real estate agents in the beach areas and some of the rural areas of Costa Rica. All the real estate agents are well trained and will give you the necessary post-sale follow up. Every area of Costa Rica, no matter how small of an area, has a different micro climate, which generally depends on the winds and the topography of the land, so you need to do your due diligence. 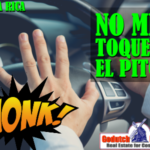 Go Dutch Realty offers the services of a large team of real estate agents throughout the Central Valley and the beach areas and rural areas of Costa Rica to guide you through this important process. A lot depends upon where you are from; when you come from a cold climate, you like warm weather and when you come from the hot, you like the cool weather. Below, I will describe a little of each area. 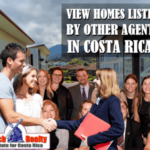 Since 1998, Costa Rica also offers a nation wide MLS search and by clicking here, you can search Costa Rica real estate from coast to coast. Jacó Beach is the on the Central Pacific Coast and the area closest to the Central Valley and offers a lot to anyone who loves nature. Growing very fast because the new freeway is going to be built in a very short time, mainly the Jacó Beach area offers anything you need, including shopping and banking. GoDutch Realty offers property for sale in the Central Pacific through our affiliate agents. Jaco Beach is now located only one hour from San Jose and it’s the beach town on the Central Pacific Coast that is becoming the most modern and fastest growing community anywhere on the beach in Costa Rica. Jacó Beach real estate offers mountain properties, beach front properties and new resort communities with great infrastructure. Quepos and Manuel Antonio are tourist destinations and offer very few residential possibilities. Property in Jaco Beach is a very good choice as its location to the International airport and the access to the city of San Jose, is only one hour away on the new highway that goes from San Jose to the Central Pacific Coast. If you are looking for property in Jaco Beach and its surrounding areas like Playa Hermosa, Playa Herradura, Los Sueños, Punta Leona and some other great beaches, you need to call us as our affiliate in the Jaco Beach has in incredible list of properties for you to look at. Prices of property in Jaco Beach start at more or less $150,000 and goes up to the several million dollars. If you are looking to retire in Costa Rica near a golf course, Los Sueños offers a very nice one. The La Iguana Golf Course at Los Suenos Marriott Golf Resort is an 18-hole, par-72 championship golf course that offers not only a challenging Ted Robinson-designed layout but also a spectacular gallery featuring friendly monkeys and brightly hued macaws, perfect for those who love nature and plan to move to Costa Rica. Los Sueños also offers a marina and Marriott hotel. There are quite some nice gated communities in the Jaco Beach area, like Los Sueños, Nativa, Monaco and Aqua in case you are looking for a vacation home in Costa Rica or a 2nd home in Costa Rica. We offer Los Sueños real estate too. The Jacó Beach and Quepos area is much warmer and more humid than the Central Valley. With pleasure we can refer you to reliable realtors in the area. For more information on properties in the Jaco beach areas contact us now. Guanacaste is divided in many different areas; we have partners in some of them and work together with professional realtors in others. Guanacaste is much warmer and dryer and therefore many people who like the beach go there. The airport in Liberia is getting more and more direct charters in from all over the world and that is opening up this beautiful province of Costa Rica. Tamarindo Beach is a cosmopolitan beach town, located on the dynamic Northwest Pacific Coast. This region has quickly become a number one destination of Costa Rica. Over the past 10 years Tamarindo Beach has had steady growth and constant increase of property values averaging 20% per year. The prediction is there is still more appreciation to come. Many people choose, and return to Playa Tamarindo because of it’s beauty and vast array of activities in the area: the quality of accommodations, world class surfing and sport fishing, restaurants, nightlife, casinos and two 18 hole golf courses nearby. Close to Playa Tamarindo is the American College prep Country Day School, the only more upscale bilingual school outside of San Jose. Families concerned about a good education for their children settle in the Tamarindo Beach area to have a first rate education for their children. Currently, there are no other beach communities in Costa Rica that boast the kind of amenities and infrastructure that Tamarindo has to offer. The micro climate in Playa Tamarindo is pleasant year round: hot and dry with a nice ocean breeze during summer (Dec – May) and tropical rains with cool nights during the winter (Jul – Nov). The average temperature is 84ºF year round. Prices of property in Tamarindo Beach start at more or less $150,000 and go up to the several million dollars. If you are looking to retire in Costa Rica near a golf course, Hacienda Pinilla, only a short drive away from Tamarindo Beach, offers tennis and an 18-hole Mike Young designed championship golf course and a JW Marriott hotel. Hacienda Pinilla offers its residents 4,500 acres of tranquility, beautiful views, stables an dother luxury amenities where you can purchase land, a luxury home, a villa or a mansion through our real estate agent in Tamarindo Beach. Close to Tamarindo Beach is Reserva Conchal, in Playa Conchal, that offering golf to those players who can stand the heat on a Robert Trent Jones II 18-hole championship golf course and a five-star hotel. Playa Tamarindo is well worth a visit and you might want to become a local as part of a multicultural community. There is a wide variety of options for living here, and buying property in Tamarindo Beach is certainly an excellent investment. You can choose from upscale condominiums, luxury beach homes, and many can offer a great ocean view. There are also lots or large parcels for development. For beach property in Tamarindo, you can go to the MLS search on our website and we’ll connect you to the right real estate agents. With its stunning natural beauty and central location, Flamingo Beach on the Northwest Pacific Coast has become in just a few years in a renowned area for its structured growth and, for this reason, is ranked as one of the best destinations among the entire Gold Coast of Costa Rica. Situated in the province of Guanacaste and only 50 minutes away by car from the Liberia international Airport or 4 ½ hours from the capital city of San José, Flamingo has been developed by its residents into a modern community with an ever increasing number of activities, services, and accommodations. A paradisiacal selection of activities is available to you. Among said selection, scuba diving, sailing, snorkeling, horse back riding, national park tours and sea turtle watching are the most sought after activities. The waters off Flamingo offer as well some of the best deep-sea fishing in the world for marlin, sailfish, snapper, tuna, and dozens of other species. Sport fishing and other water activities are supported by a full service marina strategically located on the south end of Potrero Beach and within walking distance from Flamingo Beach. Very accessible from Flamingo Beach are La Penca Beach, Portero Beach and Conchal Beach. Prices of property in Flamingo Beach on the Northwest Pacific Coast start at more or less $150,000 and go up to the several million dollars. If you are looking for a vacation home in Costa Rica or a 2nd home in Costa Rica, you’ll have an incredible choice of luxury homes, condominiums, villas and mansions with ocean views and the security of a gated community and other beach property. The golf course in Playa Conchal is only minutes away. Playa del Coco in Guanacaste and on the Northwest Pacific Coast is a fishing village turned resort area in the 90’s and is located only 35 minutes from the Liberia International airport. From Playas del Coco, you will have excellent access to other beaches like Playa Ocotal, Playa Panama and Playa Hermosa. Other beaches like Playa Flamingo, Playa Penca, Playa Potrero, Playa Grande and Playa Tamarindo are a little further away but still very accessible. Playa Ocotal is only minutes away from Playas del Coco and if you are interested a quiet and natural get-away, Playa Ocotal is where to go. Playa Ocotal offers a large natural bay which gives it natural tide pools and makes it outstanding for sport fishing and scuba diving. Hermosa means “beautiful” in Spanish, for its gray-sand beach located between between two mountains. 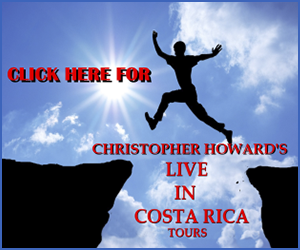 Costa Rica has two locations with the name of Playa Hermosa, the other being in the Central Pacific. This Playa Hermosa offers a very laid back lifestyle, beautiful grey sand beaches, blue waters, lots of restaurants and many well known hotels like Playa Hermosa Bosque del Mar, Condovac la Costa and Sol Playa Hermosa. Just minutes north of Playa Hermosa, on the Southern point of Culebra Bay, lies the dark-sand beach and calm, blue waters of Playa Panama, which offers many good hotels like Sol Papagayo, The Four Seasons and Casa Conde del Mar. Playa Panama is a beautiful palm tree lined beach with blue waters. Scuba diving and golf are the best amenities available in this area. From Playa Panama it is only a short drive to Playa Hermosa, Playa del Coco and the golf course at the Four Seasons hotel. Prices of property in Playas del Coco start at more or less $150,000 and go up to the several million dollars. If you are looking for a vacation home in Costa Rica or a 2nd home in Costa Rica, you’ll have an incredible choice of luxury homes, condominiums, villas and mansions with ocean views and the security of a gated community and other beach property. If you are looking for costa rica properties on the Northwest Pacific Coast with an ocean view, you will find that our real estate agent in the Playas del Coco area can offer you are wide range of beach property, condominiums and luxury homes with a beautiful ocean view. Samara Beach, a pretty little beach village with white sand beaches and lots of palm trees on the Northwest Pacific Coast. Playa Samara, on the Northwest Pacific Coast is the kind of laid back and unknown little beach town that most people imagine when they think of living on the beach in the tropics. The beautiful pristine beaches on a long, horseshoe-shaped bay give you the sensation of Samara Beach being stranded on a tropical island. Unlike most of Costa Rica’s Northern Pacific coast, the bay at Samara Beach is excellent for swimming and for kids, since an island and a coral reef break up most of the surf. Driving along the Northwest Pacific Coast coastal road in either direction, you’ll come to other spectacular beaches like Playa Carrillo and Playa Buenavista. The Playa Samara beach area is truly a secret hotspot, but now it is the most easily accessible beach in Guanacaste, since the new bridge crossing the Gulf of Nicoya is now open. Samara Beach has all conveniences you want on a daily basis and Nicoya, the provincial capital, is just a 30 minute drive away with a hospital, banks, supermarkets, several stores and public schools and two private schools as well. Prices for real estate in Samara Beach are still extremely reasonable compared to other beach towns and areas of Guanacaste. Prices of property in Samara Beach start at more or less $150,000 and go up to the several million dollars. If you are looking for a vacation home in Costa Rica or a 2nd home in Costa Rica, you’ll have an incredible choice of luxury homes, condominiums, villas and mansions with ocean views and the security of a gated community and other beach property. If you are looking for properties or beach homes in Samara Beaches with an ocean view, you will find that our real estate agent in the Playa Samara area can offer you are wide range of beach property, condominiums and luxury homes with a beautiful ocean view. The Southern Caribbean beaches and the Atlantic zone region, filled with pristine untouched nature, is home to several of the countries most notable national parks, including Braulio Carrillo, Cahuita, Chirripó, and Tortuguero. Home to more than 500 birds species, representing more than 58 distinct families, this particular area is comprised of virgin natural habitat, guarantying a healthy bird population. While walking through certain portions of this region, the bird enthusiast is often treated to birds representing an entire range of niches and habitats. Need to stay busy and cannot afford to retire in Costa Rica yet, our real estate agent in the Southern Caribbean beaches also offers a wide range of business for sale and hotel for sale. This is a coast where the ever green mountains of the deep forest line the long stretches of quiet, pristine sandy beaches. Year round, these long stretches of white or black sand beaches are ideal for leisure activities, such as horse back ridding, sun bathing, hiking, or snorkeling among the colorful corral reefs. 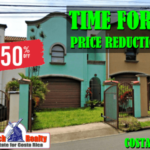 Prices for real estate in the Southern Caribbean beaches are still extremely reasonable compared to other beach towns and areas of Costa Rica. Prices of property in the Southern Caribbean beaches start at more or less $150,000 and go up to the $500,000 range. If you are looking for a vacation home in Costa Rica or a 2nd home in Costa Rica or look at a business for sale or a hotel for sale, you’ll have an incredible choice of luxury homes, villas and beach properties with and without ocean views. If you are looking for beach properties or properties with an ocean view, you will find that our real estate agent in the Southern Caribbean beaches can offer you are wide range of beach property and beach homes with a beautiful ocean view. For more information on properties in the Costa Rica Caribbean beach areas, send us a message here. No one covers the Southern Pacific Coast better than our real estate agents with offices in Dominical and with the best priced properties as low as $55,000 up to millions of dollars. Our affiliates in the Southern Pacific Coast offers a wide range of properties for sale Mata Palo, Hatillo, Dominical, Uvita, Ojochal, Coronado, Palmar North and Sierpe, Golfito, Puerto Jimenez, Playa Zancudo and Pavones. They offer is a good range of luxury homes, condos, building lots, villas and mansions. Prices for real estate in the Southern Pacific beaches are still extremely reasonable compared to other beach towns and areas of Costa Rica. 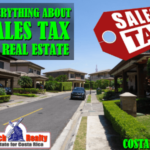 Prices of property in the Southern Pacific Coast beaches start at more or less $150,000 and go up to the several millions of dollars, depending of your budget and the lifestyle you are looking for. If you are looking for a vacation home in Costa Rica or a 2nd home in Costa Rica or look at a business for sale or a hotel for sale, you’ll have an incredible choice of luxury homes, villas and beach properties with and without ocean views. GoDutch Realty can offer you the best of the Southern Pacific Coast beach areas of Mata Palo, Hatillo, Dominical, Uvita, Ojochal, Coronado, Palmar North and Sierpe, Golfito, Puerto Jimenez, Playa Zancudo and Pavones and all these surrounding beach areas that can offer you that beach lifestyle that you have been looking for. Now, with the new coastal highway in place, you can get from San Jose to all these pristine beaches in a matter of hours. For more information on properties in the Dominical beach areas, contact us NOW.